In keeping with my new approach of posting other people’s work instead of writing my own (I’m working on some new stuff! 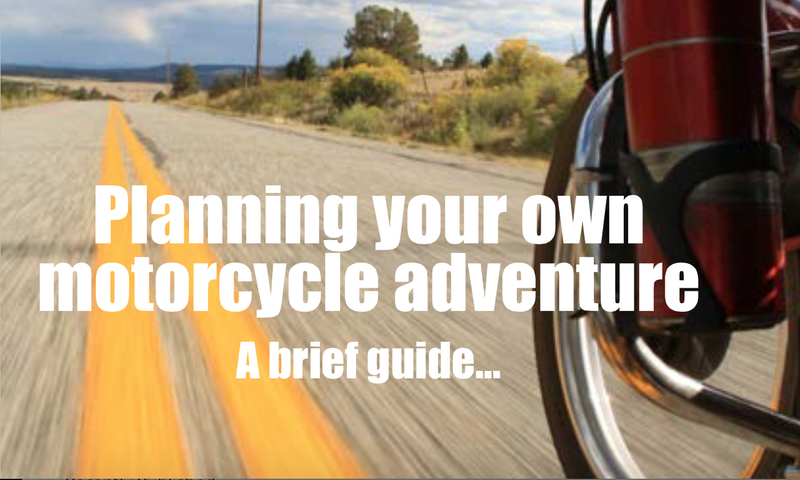 ), you may be interested in Nathan Millward’s short and very pragmatic guide to planning your own moto adventure. Nathan (former editor of Adventure Bike Rider Magazine and author of two of books charting his own moto adventures), was giving this out at the recent Bike Show in Birmingham. I was pleased to be able to contribute a small section. Anyone who knows Nathan will probably describe him as a straight-talking, no-frills guy who gets to the point and says it how it is. This is exactly how he has written his guide – no bulls**t, only sound advice from someone who has done it himself. You can read Nathan’s guide HERE. You can also check out Nathan’s website, where you can buy his books, HERE. I’ll be back posting my own stuff next week. See you then! Thanks Steve – and Happy Xmas to you too!! Mine isn’t quite working out – I’ve got a compressed Peroneal nerve making my foot go numb, I’ve been banned from riding by the doc, and I need to get to Chile where Paulina is waiting for me!! 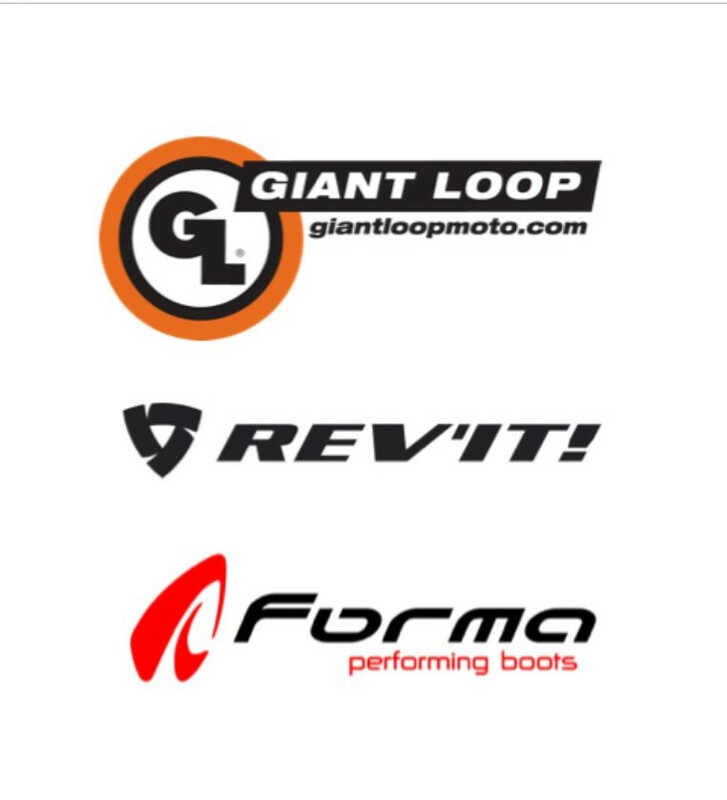 Might have to solve things with some online retail therapy and buy some more stuff for the moto! I never planned for any of my trips, I just kind of did them and its something I really need to work on specially if I every get out of the states and ride. My poor planning has caused me some stress along the way. There is definitely time for spontaneity but in my declining years I am finding that planning a good trip is needed as well. Time spent planning is seldom wasted! At Trailquest we spend a lot of time training clients after they have done their first trip and then realised they could have made life so much easier with a bit of training. This particularly applies to their off road skills, simple bike maintenance and and choice of gear. Hi Richard, nice to hear from you! Preparing for this adventure all started back in July 2012 when I first ventured off-road on a 125 with you!!! As an ex-soldier, I should (and generally do) subscribe to the ‘time spent planning is seldom wasted’ mantra. But then braking down and not knowing how to fix things has been part of the adventure too!! Some people over-plan. But definitely yes to some off-road training – it gives you the confidence to get off the hardtop and explore, and bottom line is it is also a safety issue. Tackle a track too difficult for you, fall and bust an ankle and the adventure may well be over. Still got the Tiger 800 parked up in my dad’s garage down the road from you. Might swing by when I’m next in UK and take a cuppa off you!! Good to hear from you too – it is always good to hear about previous clients and you must pop in when you are next in the area. We have been exceptionally busy over the last few years with everything ranging from basic courses to TV and film work. We have trained several expedition teams and have an initial meeting with another one next week. We are also working on another expedition ourselves although fitting in the time for this is proving difficult! Have a great Christmas! Link no longer seems to work….any way you can post a PDF? Thanks for letting me know Steve. I’ve just changed the link to a PDF.